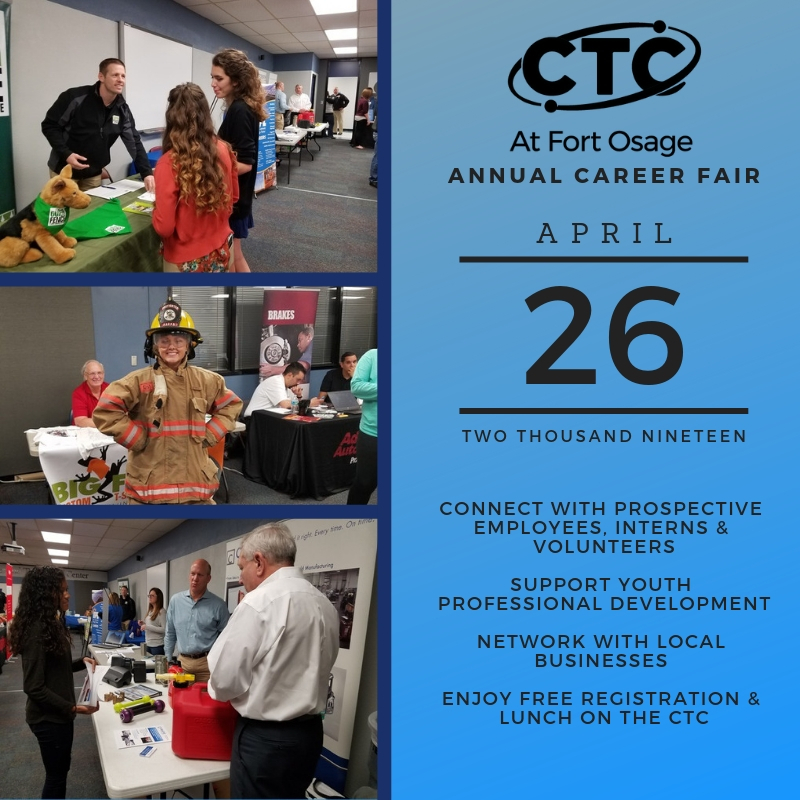 The Career & Technology Center at Fort Osage is hosting it's annual Career Fair on Friday, April 26th. Connect with over 400 high school juniors and seniors, share job opportunities, support student professional development through the CTC's "Speed Interview" program and network with other local businesses! This event is free and lunch is provided by the CTC.